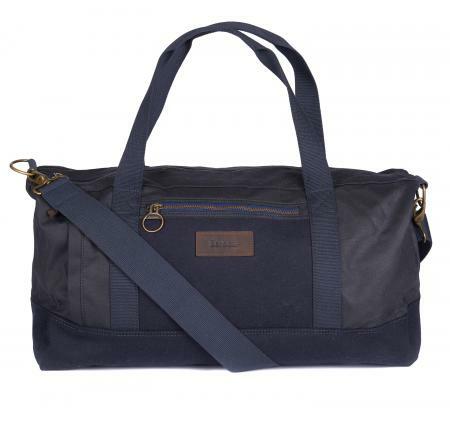 Barbour Gisburne Holdall in navy blue. The Gisburne Holdall is a functional overnight bag from Barbour. It is made out of Melton wool and waxed cotton and features multiple pockets and a detachable strap. The Gisburn Holdall is the perfect size for a weekend away.